Since last Monday was the end of the month of May, I used Monday as my monthly wrap-up and since it was #TBRTakedown this week, I posted my list of what I would be reading during the week on the day before. Confusing, I know. Either way, here is a list of the books I read this past week, a whopping 10! I didn't finish all of the #TBRTakedown books, but I will get to them, I promise. A Murder of Mages: A Novel of the Maradaine Constabulary by Marshall Ryan Marseca. This is a mystery novel that involves magic and murder. Two of my favourite things! There is also a strong female lead, so I would suggest picking this one up! 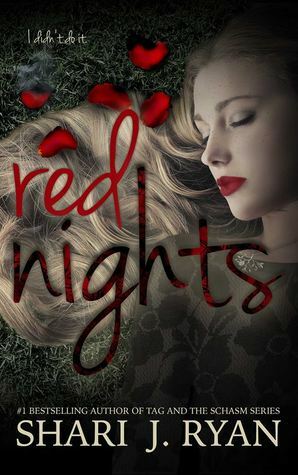 Red Nights by Shari J. Ryan. This is another murder-mystery novel with a lot of twists and a really lovely love interest. There is a lot of symbolism in it and it is well written, keeping you on the edge of your seat. Since You've Been Gone by Mary Jennifer Payne. Fifteen year old Edie and her mom have been on their run for years from Edie's abusive father. When the past catches up to them, Edie has to learn to survive on her own. Shadows of Asphodel by Karen Kincy. A steampunk historical-fiction fantasy novel that follows Ardis and Wendel in their attempts to conquer evil. Hemlock Grove by Brian McGreevy. The book that started the Netflix series about a small town in Pennsylvania, Hemlock Grove. After girls start turning up dead after the full moon, the town turns their attention to Peter Rumaneck, the resident Gypsy, for the murders. A Curse of Ash and Iron by Christine Norris. A steampunk Cinderella retelling that focuses on Ellie and the curse her step-mother has placed upon her and her father in order to get what she wants. How far is Ellie willing to go to break the curse? 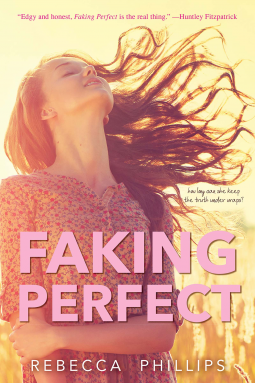 Faking Perfect by Rebecca Phillips. Lexi doesn't want to become her mother, so she surrounds herself with perfection in hopes that she can fake it long enough to survive. However, she finds herself slipping into her old ways and has to face the truth to become who she really is, not who she is pretending to be. Fahrenheit 451 by Ray Bradbury. A classic dystopian novel about the world in which books are illegal and burnt upon being found. Fablehaven (Fablehaven #1) by Brandon Mull. When their parents go on a cruise, Seth and Kendra are sent to stay with their grandparents. Once they get there, they find out that their grandparents are the caretakers of the magical conservatory, Fablehaven. Hello, Goodbye, and Everything in Between by Jennifer E. Smith. This review won't be posted until August since the release date for this novel is September 1st! However, I enjoyed it a lot. Like a lot, a lot. Buffy the Vampire Slayer, Vol. 1 by Nancy Holder. In every generation, there is a Chosen One. A slayer destined to protect the human race. She alone must fight the demons of hell. She alone must risk her life to stop the spread of evil. Buffy is the Chosen One. 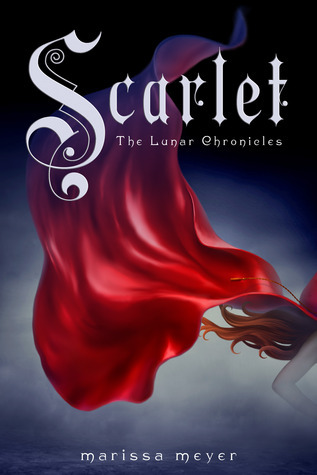 Scarlet (The Lunar Chronicles #2) by Marissa Meyer. Cinder, the cyborg mechanic, returns in the second thrilling installment of the bestselling Lunar Chronicles. She's trying to break out of prison--even though if she succeeds, she'll be the Commonwealth's most wanted fugitive. Halfway around the world, Scarlet Benoit's grandmother is missing. It turns out there are many things Scarlet doesn't know about her grandmother or the grave danger she has lived in her whole life. The Fire Children by Lauren M. Roy. An ARC from NetGalley that follows two children escape the darkness of their underground dwellings, to find adventure, magic and terrible danger await anyone who ventures above ground. 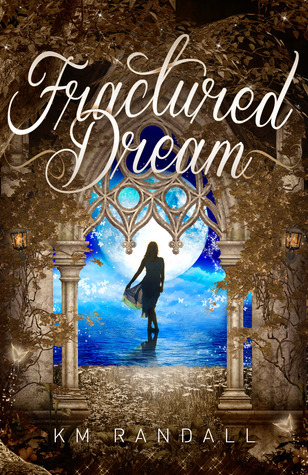 Fractured Dreams (The Dreamer Saga #1) by K.M. Randall. It’s been eight years since Story Sparks last had a dream. Now they’re back, tormenting her as nightmares she can’t remember upon waking. The black waters of Lake Sandeen, where her Uncle Peter disappeared decades before, may hold the secret to Story’s hidden memories, or a truth she’d rather not know.